The provisions of the Nebraska statutes that permit the filing of mechanics liens and materialman's liens can be found in Nebraska's Construction Lien Law, Neb.Rev.St. § 52-115 et. seq. The full text of the Nebraska Construction Lien Law is provided below, and has been updated as of 2011. To see a quick synopsis of the most important provisions, take a look at our Nebraska Frequently Asked Questions page. Whenever any laborer upon any railroad, canal, viaduct, bridge, ditch, or other similar improvement in this state, shall have just claim or demand for labor performed on any such railroad, canal, bridge, ditch, viaduct, or other similar improvement against any person or persons who are, or any company which is a contractor on such railroad, canal, viaduct or bridge, or against any person or persons who are subcontractors with any person or persons or company contracting with any such railroad, bridge, viaduct, or ditching company for the construction of any part of any such railroad, bridge, canal, viaduct or ditch of any such company, every such railroad, canal, bridge or ditch company shall be liable to pay such laborer the amount of such claim or demand with ten percent interest thereon; Provided, such laborer shall have given notice within sixty days after the last item of labor shall have been performed, that he or she has such claim or demand. Such notice shall be given in writing and shall specify the nature and amount of the claim or demand, and shall be delivered to the president or vice president, superintendent, agent or the managing director or chief engineer in charge of that portion of the work, or any portion of the railroad, canal, viaduct, bridge or ditch upon which such labor is performed. When material shall have been furnished, or labor performed in the construction, repair, and equipment of any railroad, canal, bridge, viaduct or other similar improvement, such laborer and materialman, contractor, or subcontractor, shall have a lien therefor, and such lien therefor shall extend and attach to the erections, excavations, embankments, bridges, roadbed, and all land upon which the same may be situated, including the rolling stock thereto appertaining and belonging, all of which, including the right-of-way, shall constitute the excavation, erection or improvement provided for and mentioned in sections 52-115 to 52-117. Every person, whether contractor or subcontractor or materialman, who wishes to avail himself of the provisions of section 52-116 shall file with the register of deeds of the county in which the building, erection, excavation or other similar improvement to be charged with the lien, is situated, a just and true statement or account of the demand due him after allowing all credits, setting forth the time when such material was furnished or labor performed, and when completed, containing a correct description of the property to be charged with the lien and verified by affidavit. Such verified statement or account must be filed by a principal contractor within ninety days, and by a subcontractor within sixty days from the date on which the last of the material shall have been furnished, or the last of the labor is performed; but a failure or omission to file the same within the periods last aforesaid shall not defeat the lien, except against purchasers or encumbrancers in good faith without notice, whose rights accrued after the sixty or ninety days, as the case may be, and before any claim for the lien was filed; Provided, when a lien is claimed upon a railway, the subcontractor shall have sixty days from the last day of the month in which such labor was done or material furnished within which to file his claim therefor. Such lien shall continue for the period of two years, and any person holding such lien may proceed to obtain a judgment for the amount of his account thereon by civil action. When any suit or suits shall be commenced on such accounts within the time of such lien, the lien shall continue until such suit or suits are finally determined and satisfied. Click Here to File a Nebraska Document. (1) Except as provided in subsection (2) of this section, it shall be the duty of the State of Nebraska or any department or agency thereof, the county boards, the contracting board of all cities, villages, and school districts, all public boards empowered by law to enter into a contract for the erecting, furnishing, or repairing of any public building, bridge, highway, or other public structure or improvement, and any officer or officers so empowered by law to enter into such contract, to which the general provisions of the mechanics’ lien laws do not apply and when the mechanics and laborers have no lien to secure the payment of their wages and suppliers who furnish material and who lease equipment for such work have no lien to secure payment therefor, to take from the person as defined in section 49-801 to whom the contract is awarded a payment bond or bonds in a sum not less than the contract price with a corporate surety company and agent selected by such person, conditioned for the payment of all laborers and mechanics for labor that is performed and for the payment for material and equipment rental which is actually used or rented in the erecting, furnishing, or repairing of the public structure or improvement or in performing the contract. (2) The labor and material payment bond or bonds referred to in subsection (1) of this section shall not be required for (a) any project bid or proposed by the State of Nebraska or any department or agency thereof which has a total cost of fifteen thousand dollars or less or (b) any project bid or proposed by any county board, contracting board of any city, village, or school district, public board, or officer referred to in subsection (1) of this section which has a total cost of ten thousand dollars or less unless the state, department, agency, board, or officer includes a bond requirement in the specifications for the project. (3) The bond or bonds referred to in subsection (1) of this section shall be to, filed with, approved by, and safely kept by the State of Nebraska, department or agency thereof, officer or officers, or board awarding the contract. 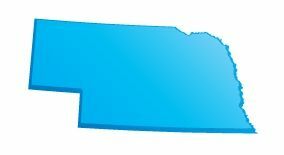 No contract referred to in subsection (1) of this section shall be entered into by the State of Nebraska, department or agency thereof, officer or officers, or board referred to in subsection (1) of this section until the bond or bonds referred to in subsection (1) of this section has been so made, filed, and approved. (4) The bond or bonds referred to in subsection (1) of this section may be taken from the person to whom the contract is awarded by the owner and owner’s representative jointly as determined by the owner. The corporate surety company referred to in subsection (1) of this section shall have a rating acceptable to the owner as the owner may require. Every person who has furnished labor or material in the prosecution of the work provided for in the contract set out in subsection (1) of section 52-118, in respect of which a bond is or bonds are furnished under such section, and who has not been paid in full therefor before the expiration of a period of ninety days after the day on which the last of the labor was done or performed by him or her or material was furnished or supplied by him or her for which such claim is made shall have the right to sue on such bond or bonds for the amount or the balance thereof unpaid at the time of the institution of such suit and to prosecute the action to final execution and judgment for the sum or sums justly due him or her. Any person having a direct contractual relationship with a subcontractor but no contractual relationship, express or implied, with the contractor furnishing such bond or bonds shall have a right of action upon the bond or bonds upon giving written notice to the contractor within four months from the date on which such person did or performed the last of the labor or furnished or supplied the last of the material for which such claim is made, stating with substantial accuracy the amount claimed and the name of the party to whom the material was furnished or supplied or for whom the labor was done or performed. Such notice shall be served by mailing the same by registered or certified mail, postage prepaid, in an envelope addressed to the contractor at any place he or she maintains an office or conducts his or her business or his or her residence or in any other manner in which a notice may be served. Every suit instituted under section 52-118.01 shall be brought by any person entitled to the benefit of this action, but no such suit shall be commenced after the expiration of one year after the date of final settlement of the principal contract. The action shall be in the name of the party claiming the benefits of this action. For the purposes of subsection (1) of section 52-118, equipment which is rented for a project covered by such subsection under a lease with an option to purchase shall be considered to be equipment rented under a straight lease agreement not to exceed the reasonable rental value of the equipment during the period such equipment is actually used on such project and unless and until the option to purchase is validly exercised under the contract. It shall be unlawful for any person, firm, or corporation who has taken a contract for the erection, improvement, repair, or removal of any house, mill, manufactory, or building of any kind for another, and has received payment in whole or in part upon such contract, to fail to apply the money so received, or so much thereof as may be necessary for that purpose, in payment of the lawful claims of such laborers or materialmen as could otherwise have a right to file a laborers’ or materialmen’s lien against such house or other structure, with the intent thereby to deprive or defraud the owner or person so paying the person, firm or corporation receiving payment, of his funds without discharging the liens, unless such person, firm, or corporation, taking such contract, shall have received and delivered to the owner of the property the written waiver of lien from all persons who otherwise would have a right to file a lien thereon. In any prosecution under sections 52-123 and 52-124 of the person, firm, or corporation so receiving payment, when it shall be shown in evidence that any lien for labor or materials existed in favor of any laborer or materialman and that such lien has been filed within the time and at the place as provided by law for the filing of such liens and that such person, firm, or corporation charged has received payment without discharging the lien to the extent of the funds received by him, the fact of acceptance of such payment without having discharged the lien within ten days after receipt of such payment shall be prima facie evidence of intent to deprive or defraud on the part of the person, firm, or corporation so receiving payment. Any person, firm, or corporation, the members of any firm, or the officers of any corporation, violating the provisions of section 52-123 shall be guilty of a Class II misdemeanor. Sections 52-125 to 52-159 shall be known and may be cited as the Nebraska Construction Lien Act. Sections 52-125 to 52-159 creates, and provides for the attachment and enforceability of, a lien against real estate in favor of a person furnishing services or materials under a real estate improvement contract. Except as provided in sections 52-125 to 52-159, no nonconsensual lien arises against real estate by reason of improvements made thereon. (15) Security interest shall mean a consensual interest in real estate which secures payment or performance of an obligation. For the purpose of determining whether an owner is a contracting owner, agency is presumed, in the absence of clear and convincing evidence to the contrary, between employer and employee, between spouses, between joint tenants, and among tenants in common. (1) Protected party shall mean: (a) An individual who contracts to give a real estate security interest in, or to buy or to have improved, residential real estate all or a part of which he or she occupies or intends to occupy as a residence; (b) A person obligated primarily or secondarily on a contract to buy or have improved residential real estate or on an obligation secured by residential real estate if, at the time he or she becomes obligated, he or she is related to an individual who occupies or intends to occupy all or a part of the real estate as a residence; or (c) With respect to a security agreement, a person who acquires residential real estate and assumes or takes subject to the obligation of a prior protected party under the real estate security agreement. (2) Residential real estate shall mean, in relation to a protected party, real estate, improved or to be improved, containing not more than four dwelling units and no nonresidential uses for which the protected party is a lessor. A condominium unit that is otherwise residential real estate remains so even though the condominium development contains more than four dwelling units or units used for nonresidential purposes. (f) Preparation of plans, surveys, or architectural or engineering plans or drawings for any change in the physical condition of land or structures whether or not used incident to producing a change in physical condition of the real estate. (2) A contract for the mining or removal of timber, minerals, gravel, soil, sod, or things growing on land, or other similar contracts in which the activity is primarily for the purpose of realizing upon the disposal or removal of the objects removed, or a contract for the planting, cultivation, or harvesting of crops or for the preparation of the soil for planting of crops, is not a real estate improvement contract. (1) A person who furnishes services or materials pursuant to a real estate improvement contract has a construction lien, only to the extent provided in the Nebraska Construction Lien Act, to secure the payment of his or her contract price. (2) A lien arises under the act only if the claimant records a lien within the time specified by section 52-137. (3) Real estate to which a construction lien attaches is specified by section 52-133, and limitations on the existence of a lien for materials are specified by section 52-134. (4) The amount of a claimant’s lien is specified by section 52-136. The content of the notice of the right to assert a lien to be given to the owner under section 52-136 is specified by section 52-135. (5) The priority of a claimant’s lien as against other construction-lien claimants is specified in section 52-138, and priority as against claimants other than construction-lien claimants is specified in section 52-139. (6) Foreclosure of a lien under the act is governed by section 52-155, and the time within which an action to foreclose must be brought by section 52-140. Notwithstanding the provisions on existence of a construction lien of section 52-131, no lien attaches under sections 52-125 to 52-159 to real estate owned by the state, a county, a municipality, or other governmental agency or political subdivision. (1) If at the time a construction lien is recorded there is a recorded notice of commencement covering the improvement pursuant to which the lien arises, the lien is on the contracting owner’s real estate described in the notice of commencement. (2) Except as provided in subsection (3) of this section, if at the time a construction lien is recorded there is no recorded notice of commencement covering the improvement pursuant to which the lien arises, the lien is on the contracting owner’s real estate being improved or directly benefited. (3) If a claimant who recorded a lien while there was no recorded notice of commencement covering the real estate later records a notice of commencement, his or her lien is on the contracting owner’s real estate described in the notice of commencement. (4) If as a part of an improvement on his or her real estate or for the purpose of directly benefiting his or her real estate an owner contracts for improvements on real estate not owned by him or her, persons who furnish services or materials in connection with that improvement have a lien against the contracting owner’s real estate being improved or directly benefited to the same extent as if the improvement had been on the contracting owner’s real estate. (5) If a recorded notice of commencement covers more than one lot in a platted subdivision of record, a claimant may apportion his or her lien to the various lots covered by the notice of commencement in any proportion he or she chooses and states in his or her recorded lien, including assigning all his or her lien to a particular lot. (6) If a recorded lien does not contain an apportionment as provided in subsection (5) of this section, the owner may make demand on the claimant to make an apportionment and, if the claimant does not, within thirty days after the demand, make an apportionment by recording an amendment of the recorded lien, the owner may make a good faith apportionment by recording an owner’s statement of apportionment. Notwithstanding the fact that the owner did not in fact give the notice to apportion referred to in this subsection or for any other reason was not entitled to record a statement of apportionment, or did not make a good faith apportionment, the apportionment is conclusive in favor of persons acquiring interests in the real estate after the statement of apportionment is recorded. (iv) Tools, appliances, or machinery used on the particular improvement, but a lien for supplying tools, appliances, or machinery used on the improvement is limited as provided by subsection (3) of this section. (2) The delivery of materials to the site of the improvement, whether or not by the claimant, creates a presumption that they were used in the course of construction or were incorporated into the improvement. (b) If they are purchased, the lien is for the price but arises only if they were purchased for use in the course of the particular improvement and have no substantial value to the purchaser after the completion of the improvement on which they were used. Warning. If you did not contract with the person giving this notice, any future payments you make in connection with this project may subject you to double liability. (2) A claimant may notify the contracting owner, either in the notice of the right to assert a lien or separately, that the claimant must be notified of the recording of any termination of the notice of commencement. The notice to the owner must be in writing and, if not part of the notice of the right to assert a lien, shall contain the information specified in subdivisions (1)(a) through (1)(e) of this section. In addition, the notice shall state that a written notice of the recording of any notice of termination must be given to the claimant at least three weeks before the effective date of the notice of termination. (3) The claimant shall send a copy of a recorded lien to the contracting owner within ten days after recording, and the recording shall be within the time specified for the filing of liens under section 52-137. (4) If the contracting owner has held out another person as contracting owner, either by naming that person in the notice of commencement or otherwise, a notice directed to and received by that person is effective against the contracting owner. (5) If the contracting owner has held out a fictitious or nonexisting person as contracting owner either by naming that person in the notice of commencement or otherwise, a notice to that fictitious or nonexisting person delivered at an address held out by the contracting owner as the address of the fictitious or nonexisting person is effective against the contracting owner. (6) This section shall apply to a lien claimant only when the contracting owner is a protected party. (b) Except as against a protected party contracting owner, the lien of a claimant other than a prime contractor is for the amount unpaid under the claimant’s contract. (b) The amount unpaid under the prime contract through which the claimant claims at the time the contracting owner receives the claimant’s notice of the right to assert a lien. (3) The lien of a claimant is reduced by the sum of the liens of claimants who claim through him or her. (b) Among claimants whose liens attach, or may attach, at the same time, each claimant’s lien is for his or her pro rata portion of the amount of the contracting owner’s lien liability to claimants whose liens attach at that time. (b) If made after receipt by the contracting owner of a copy of a recorded lien or of a notice of the right to assert a lien, is made in good faith and leaves unpaid a part of the prime contract price sufficient to satisfy the unpaid claims of all claimants who have provided a copy of a recorded lien or who have given notice of the right to assert a lien and whose claims are not being satisfied by the payment. (1) A claimant’s lien does not attach and may not be enforced unless, after entering into the contract under which the lien arises and not later than one hundred twenty days after his or her final furnishing of services or materials, he or she has recorded a lien. (2) If a lien is recorded while a notice of commencement is effective as to the improvement in connection with which the lien arises, the lien attaches as of the time the notice is recorded, even though visible commencement occurred before the notice is recorded. A notice of commencement is not effective until recording and, after recording, is effective until its lapse. A notice of commencement lapses at the earlier of its expiration as provided in subsection (2) of section 52-145 or the date it is terminated by a notice of termination as provided in section 52-146. (b) The lien relates back to and attaches thirty-one days after the termination date if the lien is recorded more than thirty days after lapse of the last effective notice of commencement. (c) Preparation of an existing structure to receive the new construction, or other preparation of the real estate to which the lien attaches, is begun. (5) In all cases not covered by subsection (4) of this section the time visible commencement occurs is to be determined by the circumstances of the case. (1) All liens attaching at the same time have equal priority and share the amount received upon foreclosure of the liens and available for distribution to construction lien claimants in the same ratio as the ratio of the particular lien bears to the total of all liens attaching at the same time. (2) Except as provided by subsection (3) of this section, liens attaching at different times have priority in the order of attachment. (3) A claimant who records a notice of commencement after he or she has recorded a lien has only equal priority with claimants who record a lien while the notice of commencement is effective. Any priority which the claimant gained over third parties by recording his or her notice of lien is preserved for the benefit of all claimants having equal priority under this subsection. (1) Except as provided in this section, a construction lien has priority over adverse claims against the real estate as if the construction-lien claimant were a purchaser for value without knowledge who had recorded at the time his or her lien attached. (2) Except as provided in subsection (3) of this section, a construction lien has priority over subsequent advances made under a prior recorded security interest if the subsequent advances are made with knowledge that the lien has attached. (c) The subsequent advance was applied to the payment of any lien or encumbrance which was prior to the construction lien. (4) To the extent that a subsequent security interest is given to secure funds used to pay a debt secured by a security interest having priority over a construction lien under this section, the subsequent security interest is also prior to the construction lien. (5) Even though notice of commencement has been recorded, a buyer who is a protected party takes free of all construction liens that are not of record at the time his or her title document is recorded. (1) Except as provided in subsections (2) and (3) of this section, a lien that has become enforceable as provided in sections 52-125 to 52-159 continues enforceable for two years after recording of the lien. (2) Except as provided in subsection (3) of this section, if an owner, holder of a security interest, or other person having an interest in the real estate gives the claimant written demand to institute a judicial proceeding within thirty days, the lien lapses unless within thirty days after receipt of the written demand, the claimant institutes judicial proceedings or records an affidavit that the total contract price is not yet due under the contract for which he or she recorded the lien. (3) If a judicial proceeding to enforce a lien is instituted while a lien is effective under subsection (1) or (2) of this section, the lien continues during the pendency of the proceeding. (1) A lien does not attach to the real estate on behalf of any claimant claiming through a particular prime contractor if the owner or the prime contractor has procured from a surety company authorized to do business in this state a bond meeting the requirements of this section and has recorded a notice of surety bond. (2) The bond must obligate the surety company, to the extent of the penal sum of the bond, to pay all sums due to construction lien claimants other than the prime contractor for services and materials supplied pursuant to the contract under which the lien would otherwise arise. (c) Two million, five hundred thousand dollars, if the prime contract price is more than five million dollars. (4) The person procuring the bond shall furnish on request a true copy at cost of reproduction to any claimant and is liable to the requesting claimant for any damages caused by failure, without justification, to furnish a copy. (b) If he or she is a claimant not having a direct contract relationship with the prime contractor, within ninety days after completion of his or her performance gives the prime contractor written notice of the amount due. (6) A claimant having a claim under the bond may proceed directly against the surety. A judicial proceeding on the bond may be maintained separately from and without bringing a judicial proceeding against the prime contractor and without complying with the notice and recording procedures of sections 52-125 to 52-159. In any judicial proceeding brought on the bond the court shall award to the prevailing party reasonable attorney’s fees and court costs. (7) The obligation of a surety under this section is not affected by any change or modification of the contract between the prime contractor and the contracting owner, but the total liability of the surety may not exceed the penal sum of the bond. (b) Recording, as provided in section 52-151, a certificate of the clerk of the district court showing that the deposit has been made. (2) The clerk of the district court has an obligation to accept the deposit and issue the certificate. (3) Upon release of the real estate from a lien under this section, the claimant’s rights are transferred from the real estate to the deposit or surety bond and the claimant may establish his or her claim under sections 52-125 to 52-159, and upon determination of the claim the court shall order the clerk of the district court to pay the sums due or render judgment against the surety company on the bond, as the case may be. (c) Whether there is a surety bond and, if so, the name of the surety. (2) At the request of any person who may claim a lien through him or her, any claimant other than a prime contractor must furnish, within a reasonable time not exceeding five days, the name of the person who contracted for the furnishing by the claimant of the materials or services in connection with which the lien claim may arise. (3) A person who fails to furnish information as required by this section is liable to the requesting party for actual damages or two hundred dollars as liquidated damages. (4) This section shall apply only when the real estate improvement contract is with a protected party. (1) A written waiver of construction lien rights signed by a claimant requires no consideration and is valid and binding, whether signed before or after the materials or services were contracted for or furnished. Ambiguities in a written waiver are construed against the claimant. (2) A written waiver waives all construction lien rights of the claimant as to the improvement to which the waiver relates unless the waiver is specifically limited to a particular lien right or a particular portion of the services or materials furnished. (3) A waiver of lien rights does not affect any contract rights of the claimant otherwise existing. (4) Acceptance of a promissory note or other evidence of debt is not a waiver of lien rights unless the note or other instrument expressly so declares. (c) That if, after the notice of commencement is recorded, a lien is recorded as to an improvement covered by the notice of commencement, the lien has priority from the time the notice of commencement is recorded. (2) The notice of commencement may state its duration, but if a duration is stated of less than six months from the time of recording, the duration of the notice is six months. If no duration is stated, the duration of the notice is one year after the recording. (3) The notice of commencement may state that it is limited to a particular improvement project, or portion thereof, on the real estate. But the limitation is not effective unless the particular improvement, or portion thereof, to which it applies is stated with sufficient specificity that a claimant, by reasonable inquiry, can determine whether his or her contract is covered by the notice of commencement. (4) A contracting owner may extend the duration of a notice of commencement by recording before the lapse thereof a continuation statement signed by him or her which refers to the record location and date of recording of the notice of commencement and states the date to which the notice of commencement’s duration is extended. (f) That if, after the notice of commencement is recorded, a lien is recorded as to an improvement covered by the notice of commencement, the lien has priority from the time the notice of commencement is recorded. (6) A claimant recording a notice of commencement, not later than the day it is recorded, must send a copy thereof to the contracting owner. The claimant is liable to the contracting owner for any damages caused by failure to comply with this subsection. (b) The limitation under subsection (3) of this section is not effective. (8) Unless a notice of commencement is limited to a particular improvement project, or portion thereof, it covers all improvements made on the real estate described therein whether or not they were contemplated at the time of the recording. (9) Unless a notice of commencement provides otherwise, it covers improvements made on real estate not owned by the contracting owner if, under subsection (4) of section 52-133, a lien arises against the contracting owner’s real estate described in the notice of commencement as a result of the improvements. (10) A notice of commencement recorded by a claimant under subsection (5) of this section may describe all or any part of the contracting owner’s real estate being improved or directly benefited. (d) Recording an affidavit stating that notice of the recorded notice of termination has been sent to all claimants who have requested notice and that publication has been made. The affidavit must state the newspaper and dates of publication and include a copy of the published notice. (2) The published notice of the recording of the notice of termination must contain the information required for the notice of termination under subsection (1) of this section, a statement of the date on which the notice of termination was recorded, and a statement that all lien claims for which a notice of lien is not recorded by the termination date may be defeated by a transfer of the real estate. (3) A purchaser, judgment creditor, or other person having a lien against the real estate may rely on the affidavit without obligation to inquire as to its accuracy, and is not prejudiced by its inaccuracy. (1) A recorded lien may be amended by an additional recording at any time during the period allowed for recording the original lien. An amendment adding real estate or increasing the amount of lien claimed is effective as to the additional real estate or increased amount only from the time the amendment is recorded. (c) Making an apportionment of the lien among lots of a platted subdivision of record. (3) An amendment shall state the record location and date of recording of the notice of lien being amended and shall state the respects in which it is being amended. (1) A claimant having a recorded lien, or his or her assignee, may record an assignment signed by the claimant which sets forth the name of the claimant, the name and address of the assignee, the person against whom the lien is claimed, the real estate affected with a description thereof sufficient for identification, and the record location and date of the recording of the notice of lien. (2) Even though an assignment has been recorded, an owner may continue to deal with the original claimant as to the claim until the owner receives notice of the assignment and a direction that no arrangements or payments may be made without the assignee’s consent. If requested by the owner, the assignee must furnish reasonable proof that an assignment has been made and unless he or she does so, the owner may pay the assignor. (3) Unless a statement of assignment is recorded, the assignee need not be a party to any judicial proceeding to foreclose a security interest, lien, or other encumbrance. (4) The failure to record an assignment does not otherwise affect its validity. (1) If a prime contractor or owner has secured a surety bond a notice of surety bond may be recorded. (e) That the bond is for the purpose of relieving the real estate from construction liens arising under the contract between the named prime contractor and contracting owner. (1) A person who has deposited money or a surety bond with the clerk of the district court in substitution of collateral as provided in section 52-142 may record a certificate of the clerk of the district court showing the deposit. (d) The name of the claimants for whom the deposit is made, the amount of their claims, and the record location of their liens. (1) A person giving a demand to institute judicial proceedings to enforce a lien, after giving the demand, may record a copy of the demand in the office in which the lien was recorded. The demand must refer by record location to the recorded lien under which it was given, and state the date demand was given to institute judicial proceedings and the names of the owner and the claimant. (2) A claimant who has received demand to institute judicial proceedings may record, in the office in which the lien was recorded, a statement that the total contract price is not yet due under the contract for which the lien was recorded. The statement must refer to the recorded lien by its record location and give the names of the owner and the claimant. An owner who is entitled to apportion a lien among lots of a platted subdivision of record may record a statement making the apportionment. The statement must refer to the record location of the lien being apportioned, state the name of the owner and the claimant, state the date on which the demand to apportion was made on the claimant and that he or she has not apportioned, and make the apportionment. (d) Recording, as provided in section 52-151, a certificate of the clerk of the district court showing the deposit of substitute collateral. (2) The lien claimant of record by partial release may reduce the amount of the lien claimed in the notice of lien or limit the notice of lien to a portion of the real estate described in the notice of commencement by recording an amendment to his or her lien showing the reduction in amount or limited portion of the real estate against which a lien is claimed. (3) A statement under subdivision (1)(a) of this section or a judgment under subdivision (1)(c) of this section must refer by record location to the notice of lien to which it applies. (1) Except as otherwise provided in this section, the rules applicable to a civil action apply to a proceeding to foreclose liens under sections 52-125 to 52-159. (2) In a proceeding to foreclose a lien, all claimants having recorded liens may join as plaintiffs and those who do not join as plaintiffs may be joined as defendants. Any person who records a lien or acquires an interest in real estate after the commencement of the foreclosure proceeding may be made a defendant before judgment. (3) The court shall determine the amount due or owing to each claimant and direct foreclosure of the liens against the real estate. Foreclosure may be by any method available for foreclosure of security interests in real estate, or otherwise, as ordered by the court. (1) If a contracting owner records a notice of termination before abandonment or substantial completion of all the improvements covered by the notice of commencement being terminated, he or she is personally liable to any lien claimant to the extent that the claimant is unable to realize on a lien because the notice of termination was recorded before abandonment or substantial completion. (2) A notice of termination is effective even though the owner, under subsection (1) of this section, may be personally liable to lien claimants by reason of his or her recording the notice of termination. (b) The court may make orders restraining the owner or other person, or ordering them to proceed on appropriate terms and conditions. (b) Award damages to the owner or any other person injured thereby. (3) Damages awarded under this section may include the costs of correcting the record and reasonable attorney’s fees. Whenever in the statutes of Nebraska, unless the context otherwise requires, the term mechanic’s lien or words referring to such term occur they shall be taken to mean and apply to construction lien as used in sections 52-125 to 52-159. The Revisor of Statutes shall substitute the appropriate term or words in the statutes necessitated by this section.